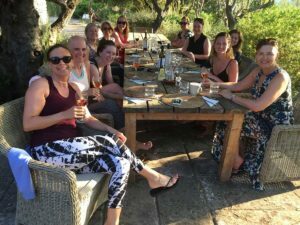 I’ve been running and hosting wonderful yoga retreats in the UK and Europe for 12 years- the last 4 years with Destination Yoga. I’ve seen first hand how guests can benefit from these shared experiences. We always have a lot of fun and make new friendships and many guests return on another retreat as friends! 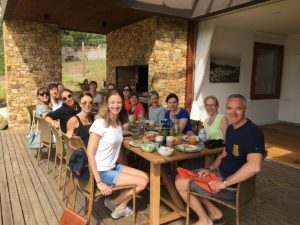 Here are my tips on how you can make the most out of your yoga retreat so that you emerge feeling rested, restored and revived. Whilst it’s always nice to come on retreat with a friend, travelling solo also has its appeal. No one to please but yourself and you can take the opportunity to really relax and have some ‘me’ time. 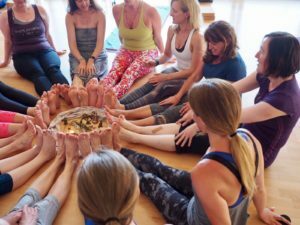 Everyone on retreat is there for the same reason- to relax and dive into yoga- so you will find that you will readily make friends as you already have a shared interest in common. Have some quiet time when on retreat by aiming to have a complete Digital Detox. It’s impossible to fully relax and embrace your surroundings if you are constantly checking your phone or engaging in social media. It’s important for your mental wellbeing to switch off from family and friends so you don’t get caught up in their dramas and stresses. It’s OK to check- in with loved ones every couple of days if you feel you need to but tell family and friends not to contact you unless it’s something really urgent. Oh and checking work emails isn’t a good idea either! Coming on a yoga retreat is not about hiding away from your life at home. It’s about rediscovering who you are. So take time to treat yourself with a massage, or a Reiki treatment, connect with nature, do some reading, go for gentle walks… Come with an open mind and a friendly open heart and just let your true self shine. You don’t have to be a yoga expert, be able to do a handstand or tie yourself in knots! The Yoga practice on retreats is tailored for everyone no matter what level or how many years practice guests have behind them. I can guarantee that the number one thing guests want from a yoga retreat is to relax and restore their tired bodies. So be prepared for lots of Savasana , Meditation as well as active yoga flows. Use the time on retreat to nourish your body with delicious, wholesome food prepared by amazing chefs. It might also be worth giving alcohol or caffeine a miss whilst you are there. Most venues have wine as an option – and for those who want to drink alcohol- that’s fine, you won’t be judged! If anything is worrying you – the yoga teacher and the retreat team are holding space for you – so tell us! We are always there to help you make the most of your yoga experience. 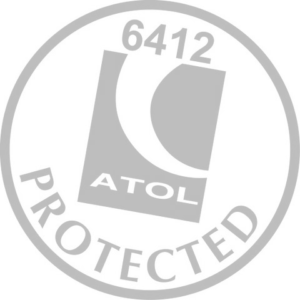 Always be reassured you are in a safe and supported environment at all times. Just be ready to relax and enjoy your time on your yoga retreat! Written by Joanna Najduch, Destination Yoga resident teacher. 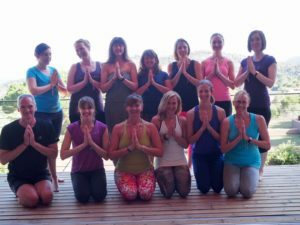 Joanna’s next yoga retreat is at Feel Viana, Portugal May 17 – May 24 . Join us this May and benefit from our Spring Sale, offering £250 discount per person off our 7 night retreat. Due to popular demand, we are also offering a 4 or 5 night retreat option, to help you squeeze in a bit of yoga, relaxation and time by the sea! Whether you chose to stay for 7 nights or less, Joanna Najduch will welcome everyone and help them get the most out of this wonderful retreat! 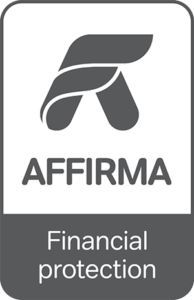 You can find out more about our retreats here or give us a call on 0203 2350122 for more information.